SAVE 15% through December 6th! 500 mg 120 caps Excellent Product for Heart Conditions, Pulmonary Support and Cancer--Gives people and pets increased energy!!! Helps People and Pets lose weight by burning fat. Keep on hand for cold and flu season. 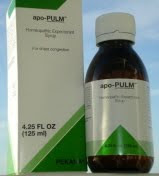 Wonderful product--helps reduce your pet's coughing and is used routinely for pets with breathing, lung and heart issues that have coughing. 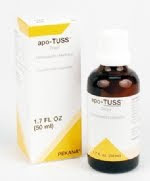 ApoTuss works in combination with the ApoPulm; the sale price for both products is $40. Must be used in conjunction with ApoPulm for effective results. The products are easy to use---just mix the drops into your pet's favorite liquid--broth, pumpkin or applesauce for example. Get great bargains by helping your dog's lung and heart conditions.